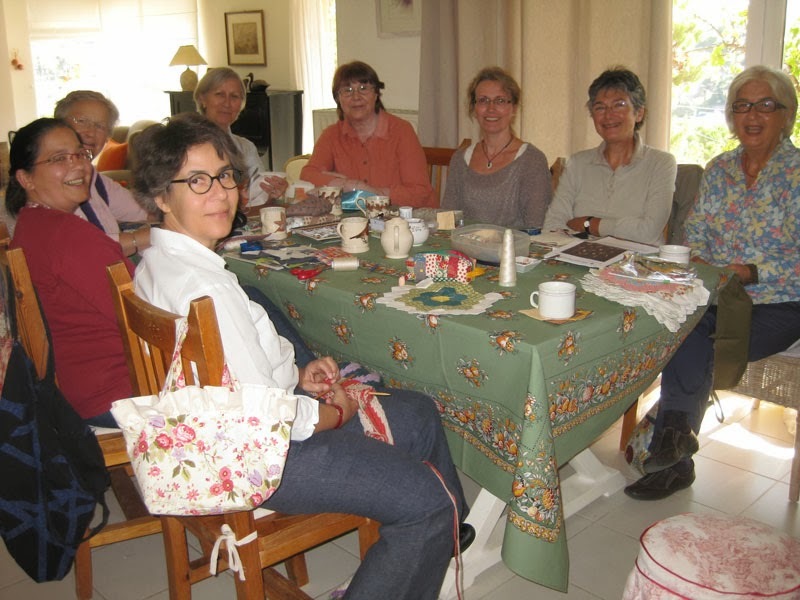 We are a group of nine friends and we meet every monday to sew together. 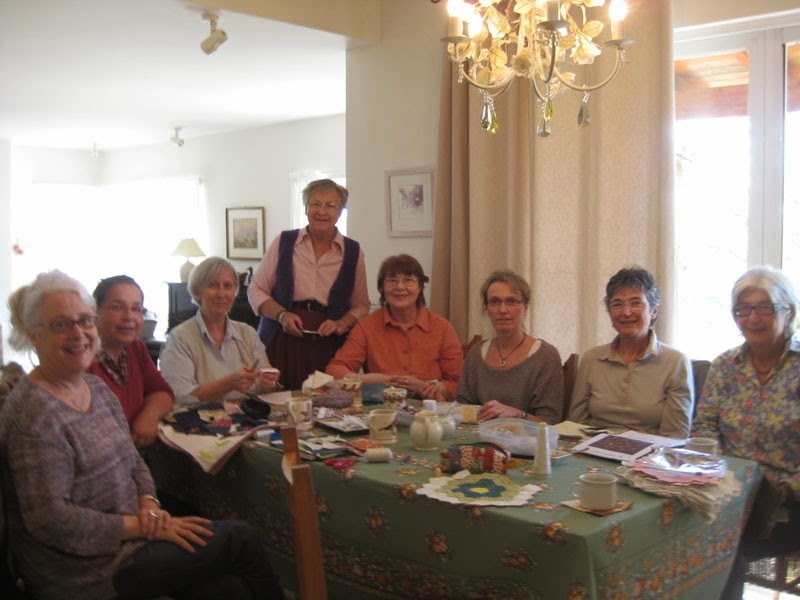 We all of us are passionate by everything connected with patchwork and quilting. 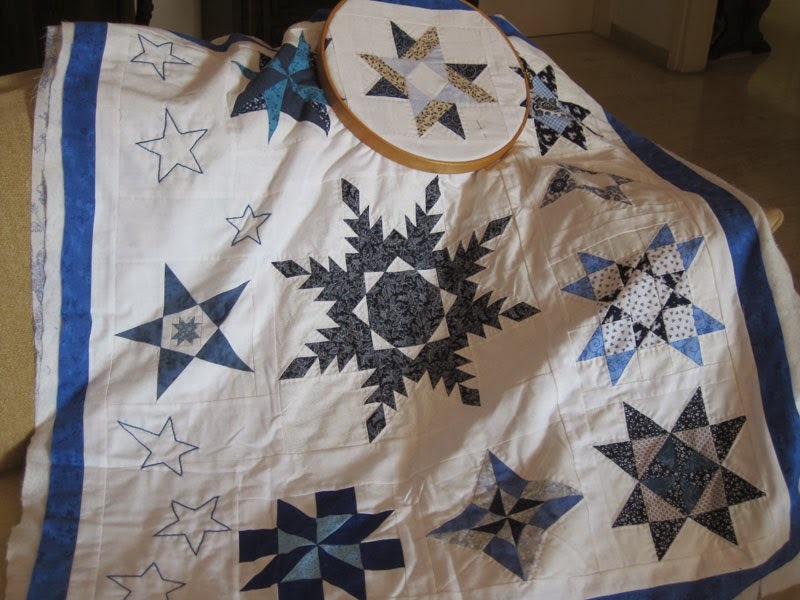 and she is hand quilting it.